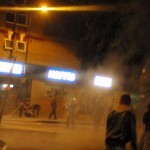 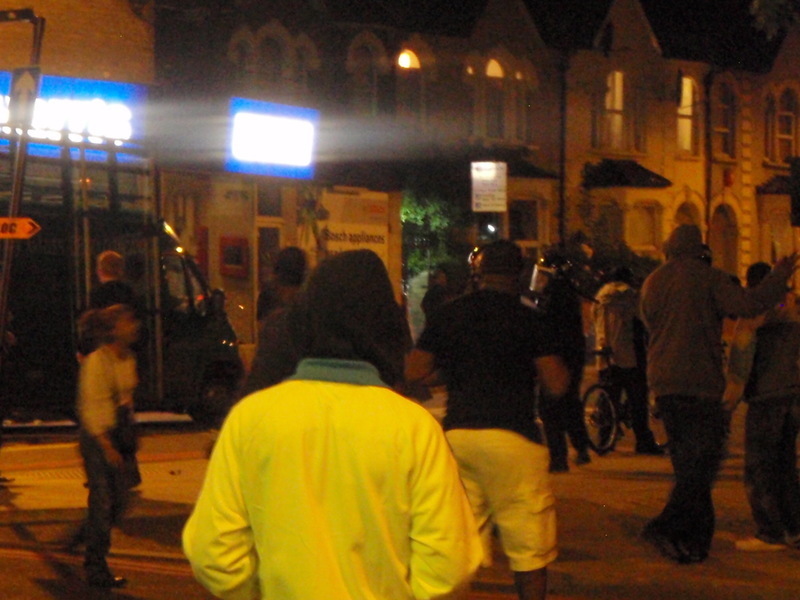 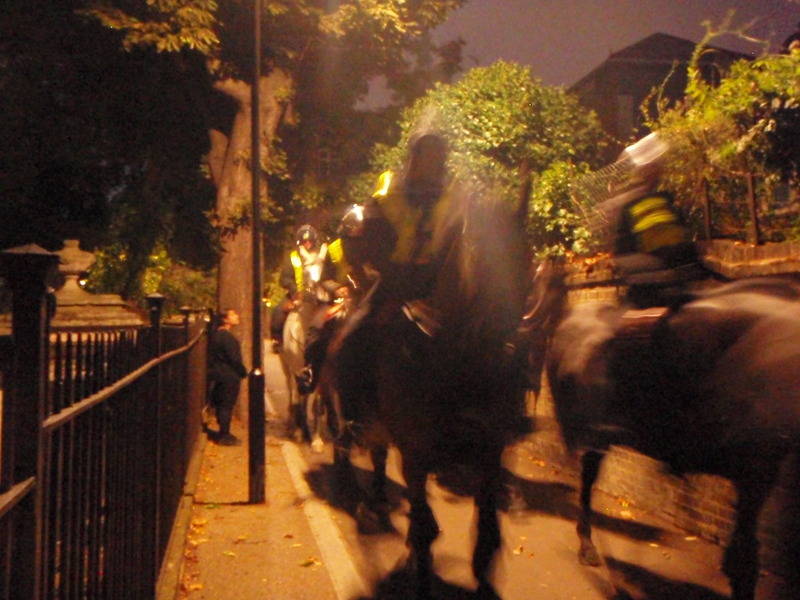 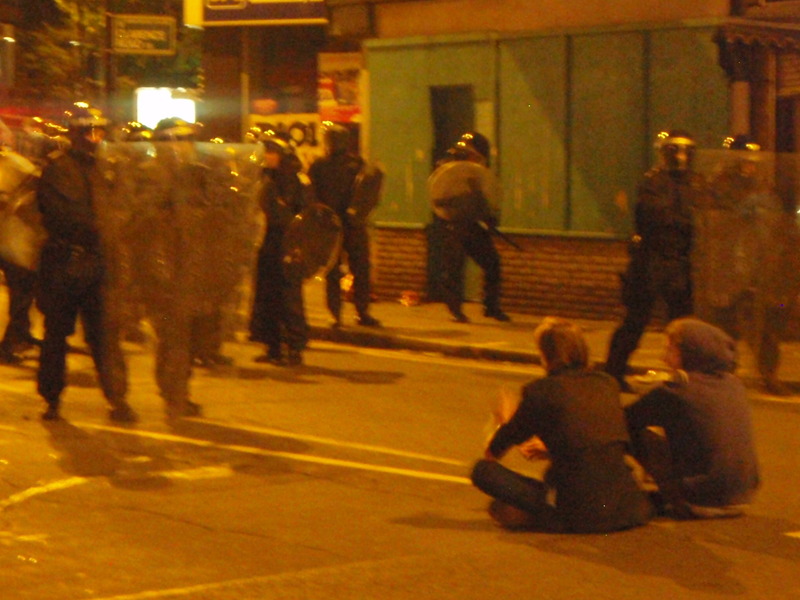 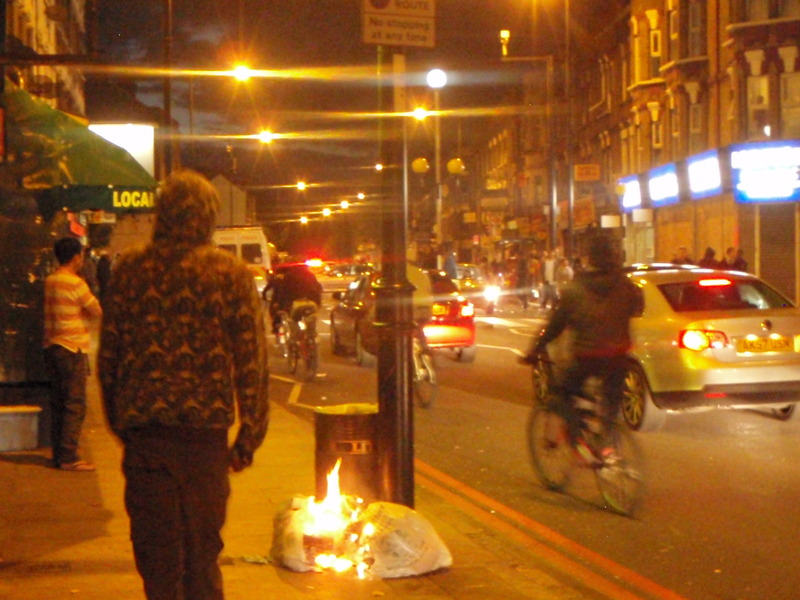 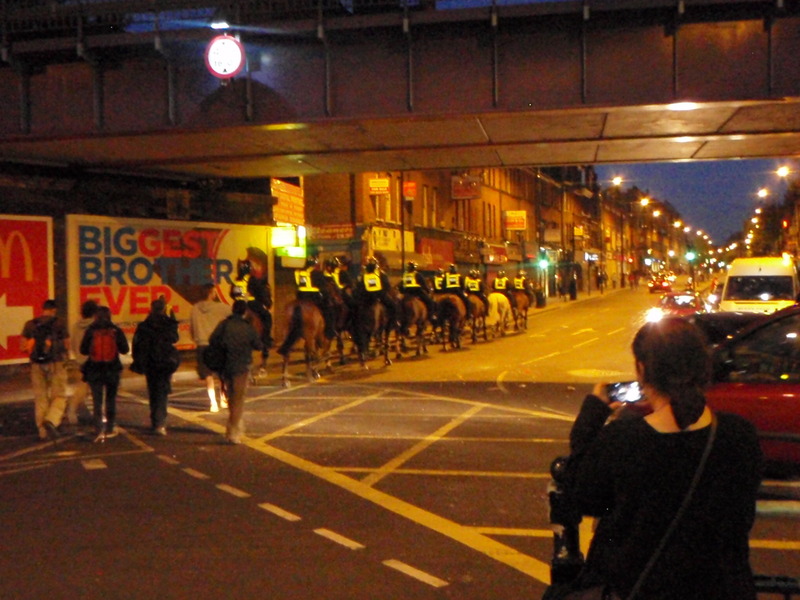 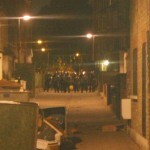 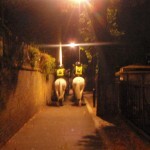 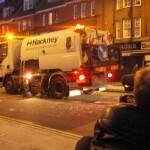 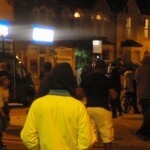 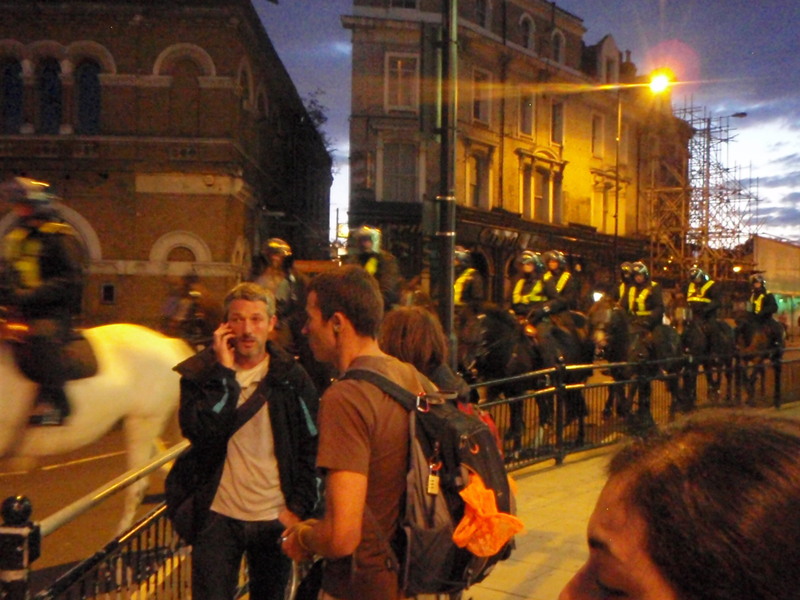 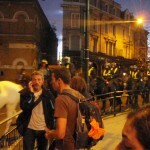 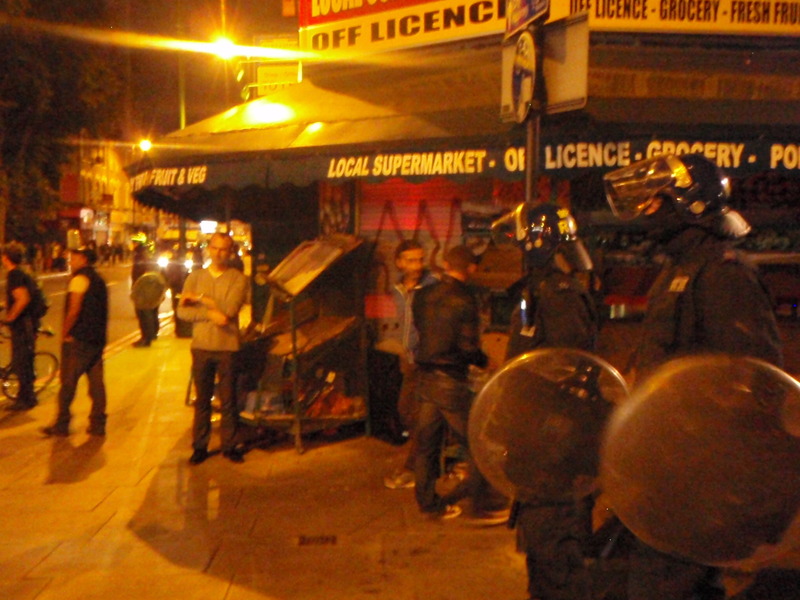 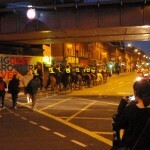 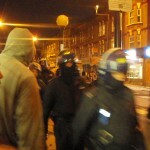 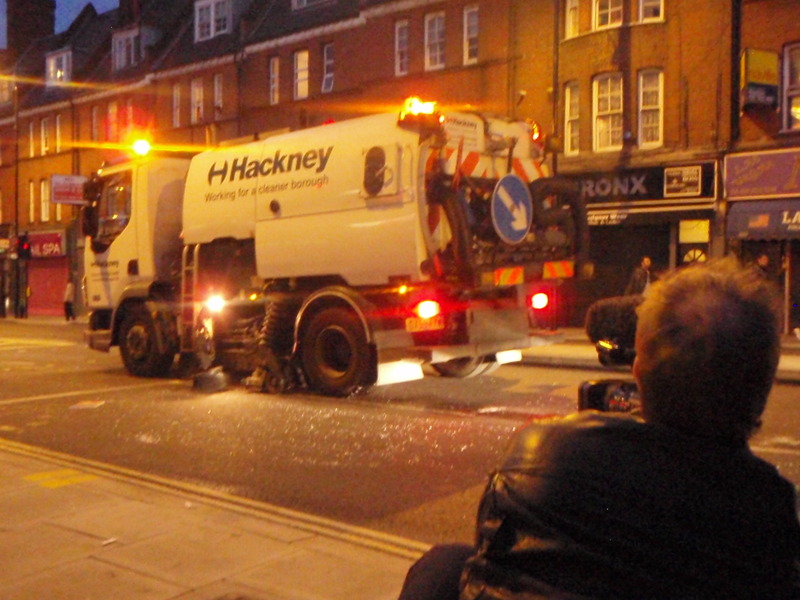 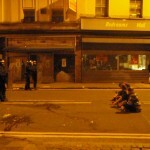 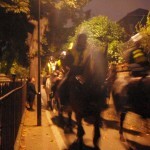 In an exclusive eyewitness account of the Hackney riots, our special reporters send their latest video & photo report from the scenes. 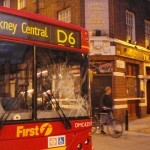 At the lower end of Mare Street a bus had been abandoned on the side of the road with barely any room for other road users to get through. 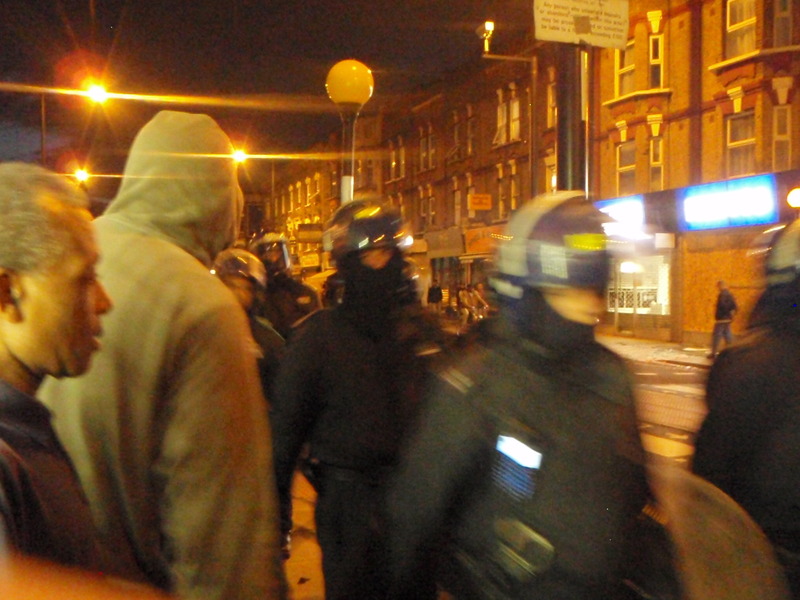 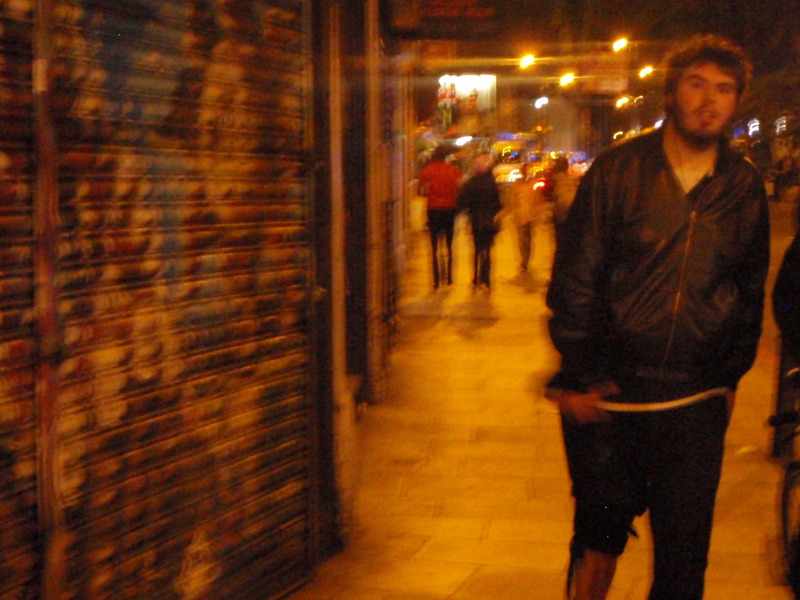 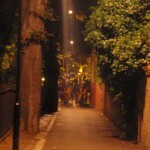 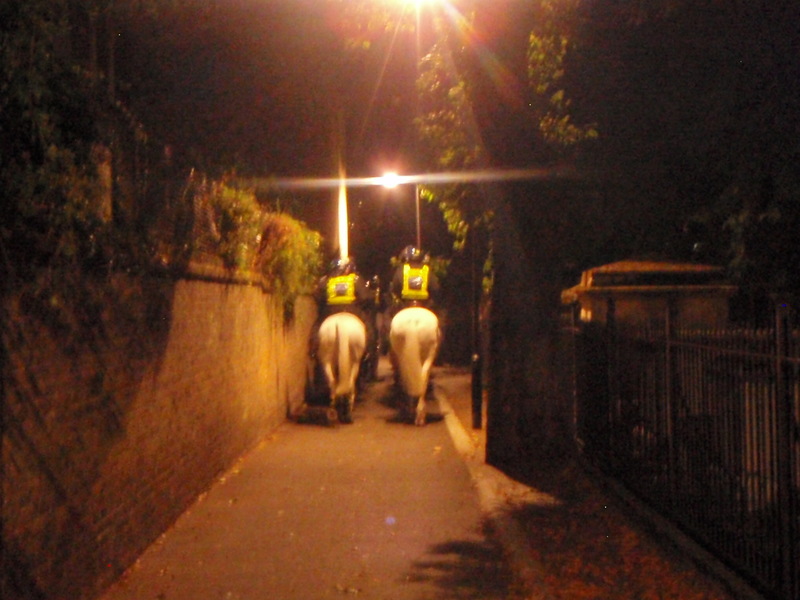 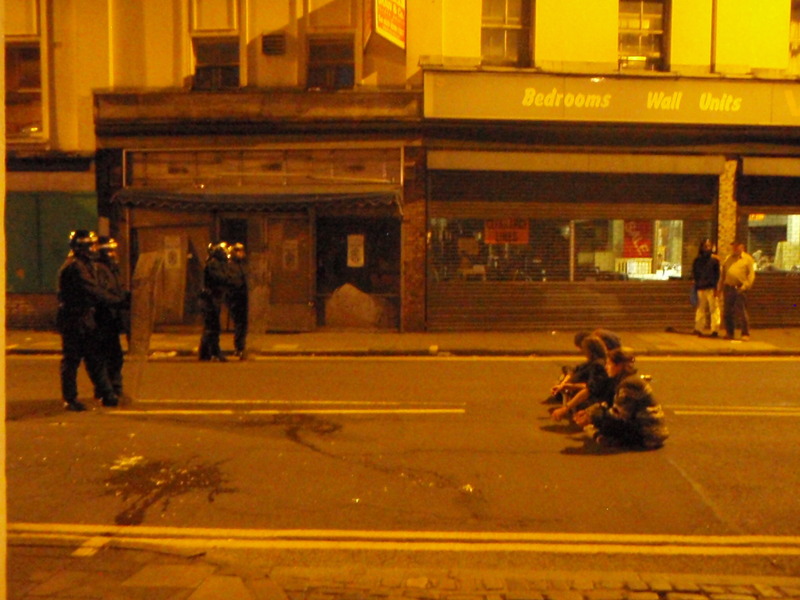 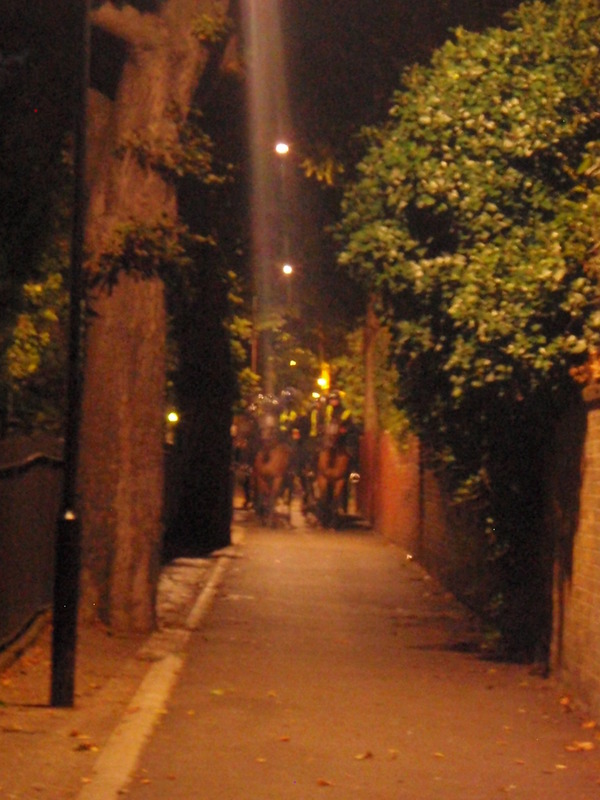 Walking further down, we heard windows smashing and an attempt to break into a corner shop. 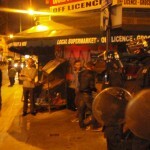 The owners of the shop were present and were quick to retaliate. 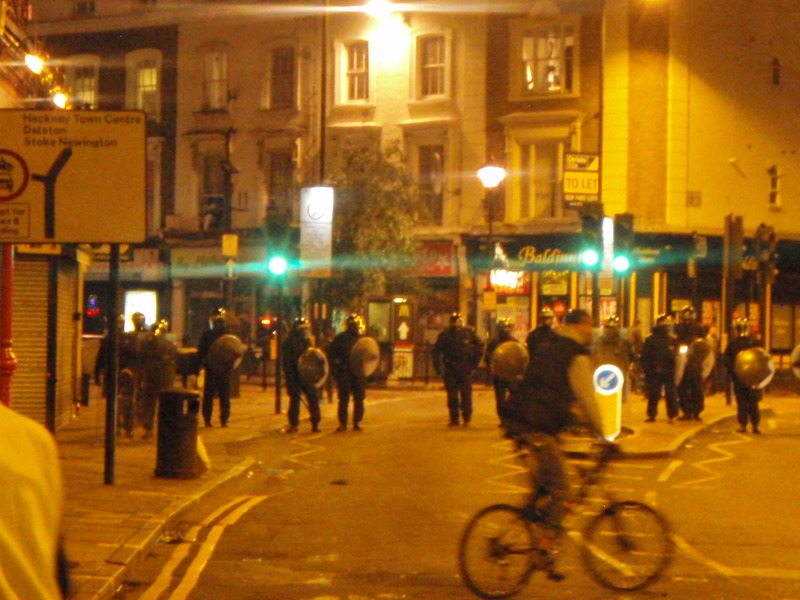 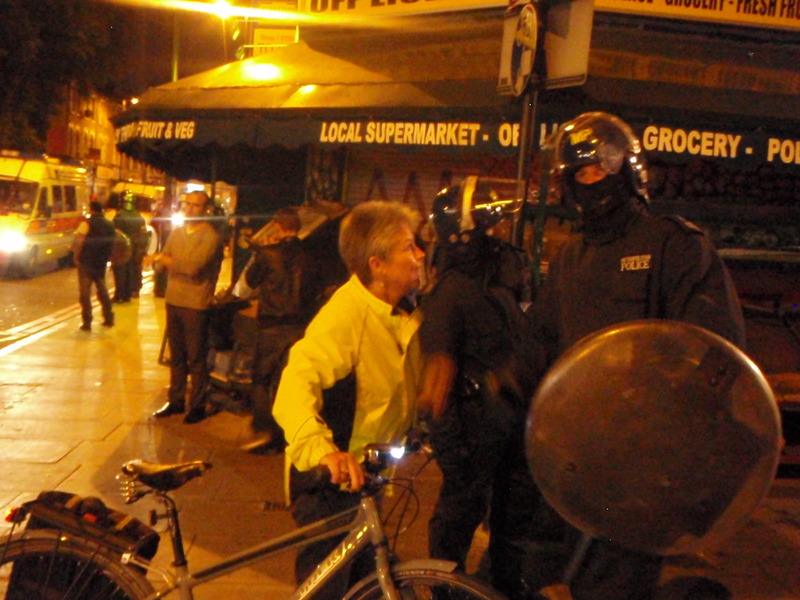 This was probably the only time during the night that I saw the police disperse a crowd effectively to help local businesses. 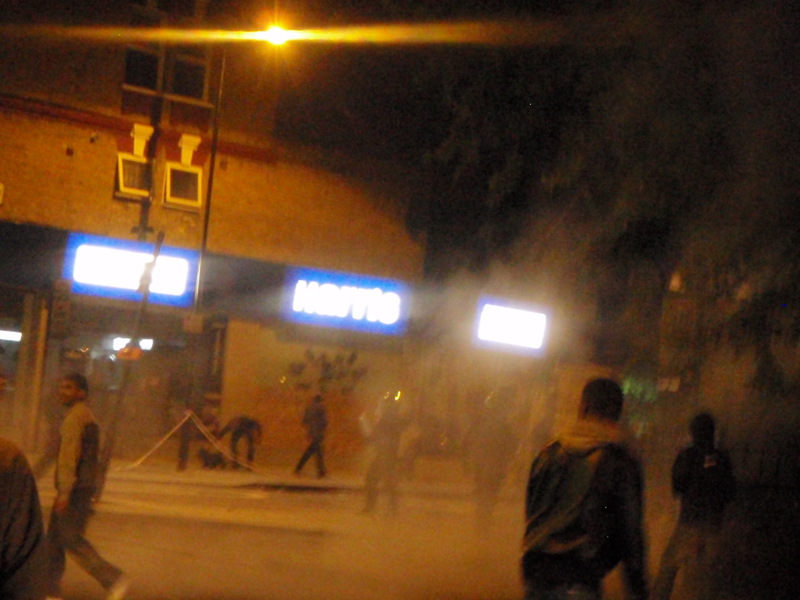 Still, this was only after an electronics store across the street had already been looted. 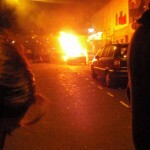 In Clarence Mews, a car was ablaze with huge crowds on either side. 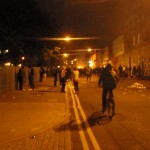 People were feeding the fire with bottles of alcohol, creating small explosions frightening the crowd and moving them further away. 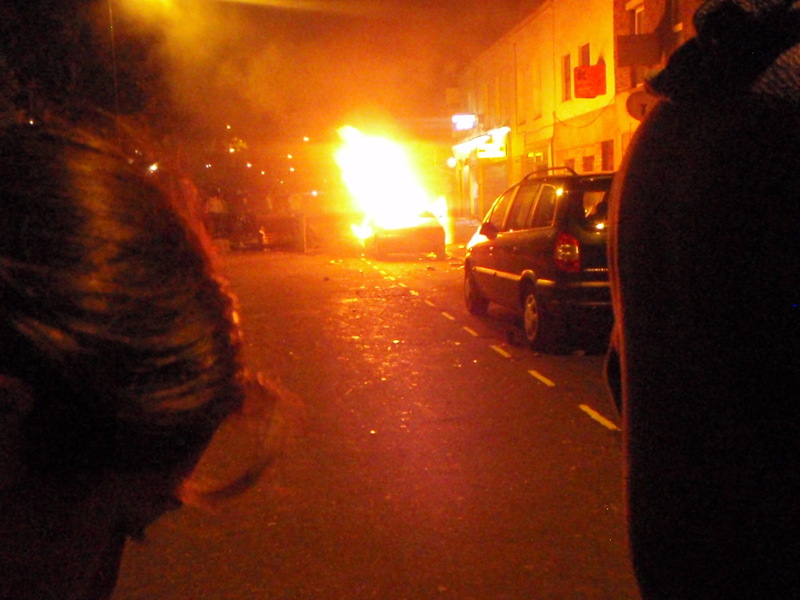 As others attempted to set a second car on fire, they were approached by a woman pleading them to stop. 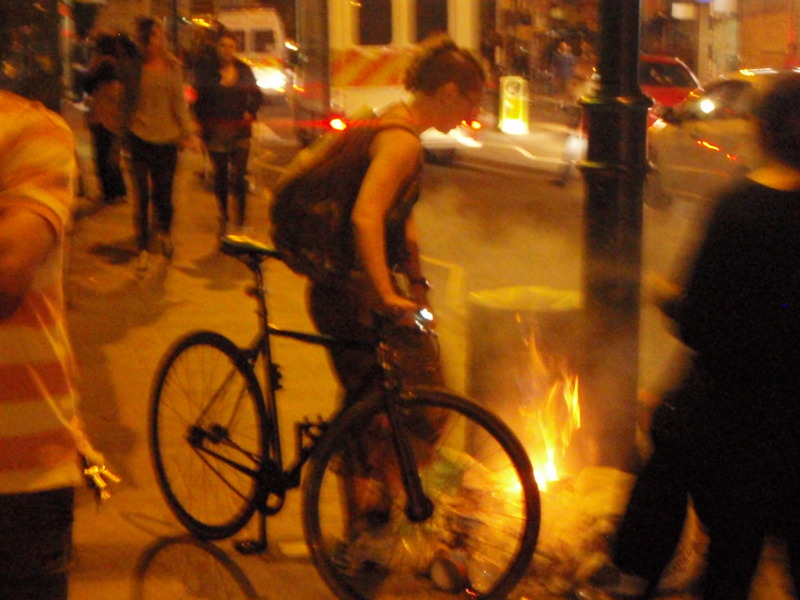 The crowd of spectators began to argue and eventually the fire was put out. 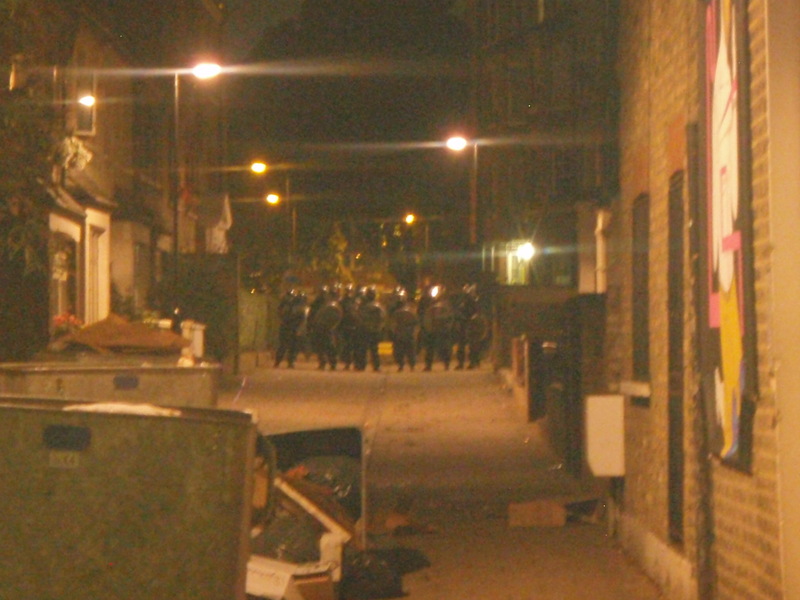 During this time, a helicopter hovered above but the police and fire brigade were nowhere to be seen. 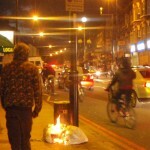 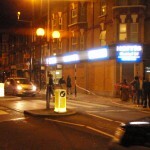 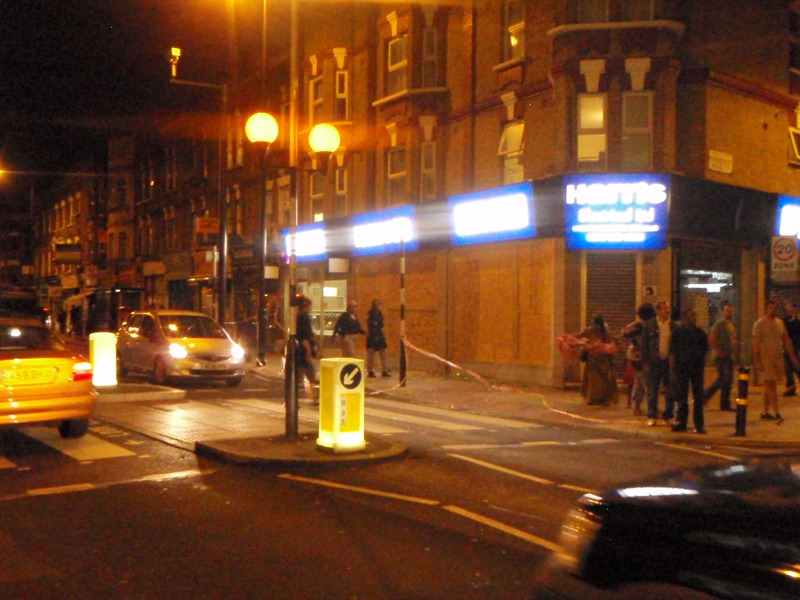 When the crowd moved along the road into the entrance of Mare Street, people began vandalising a Santander branch and some other high street shops. 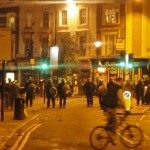 Within seconds some 20 vans and jeeps filled with riot police came flooding into the scene, charging into the crowd nearly running the rioters over. 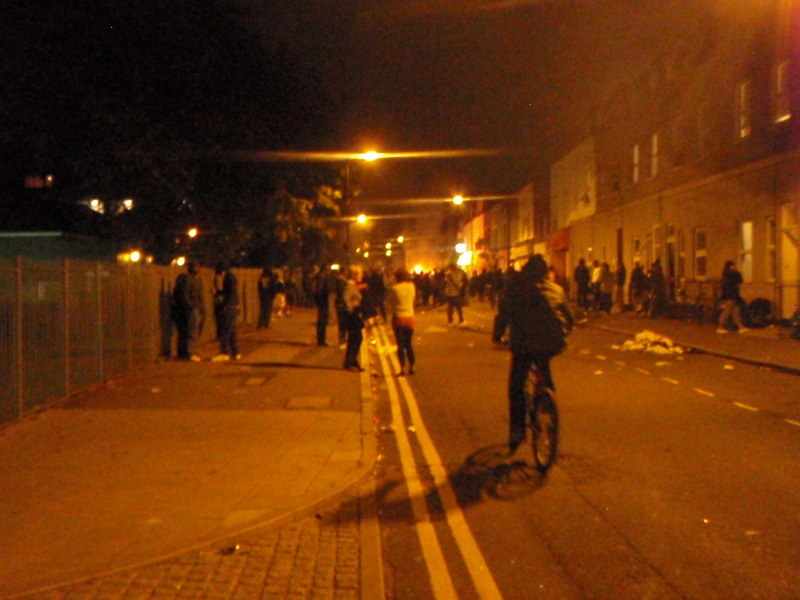 People threw chunks of pavement, bottles, cans and whatever they could find at the onrushing vans. 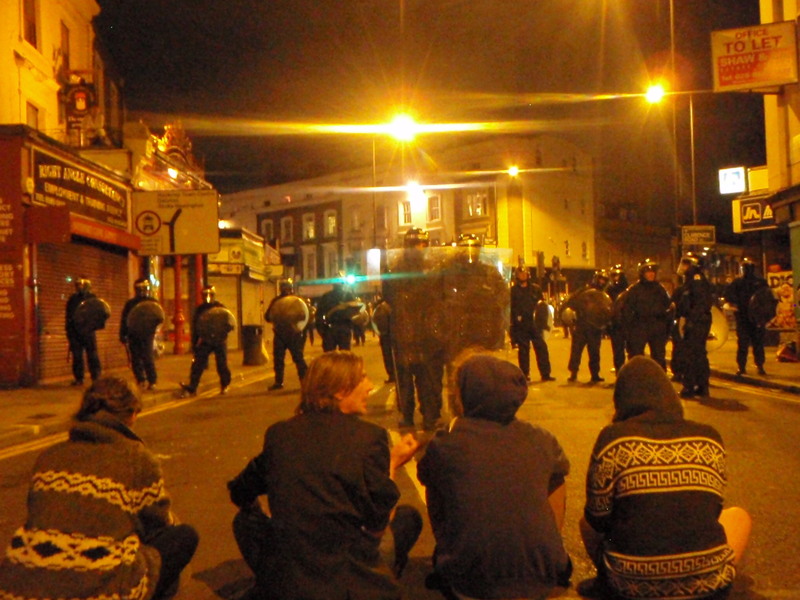 The overall atmosphere was tense and everyone was very frustrated. 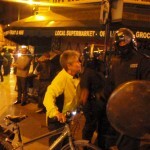 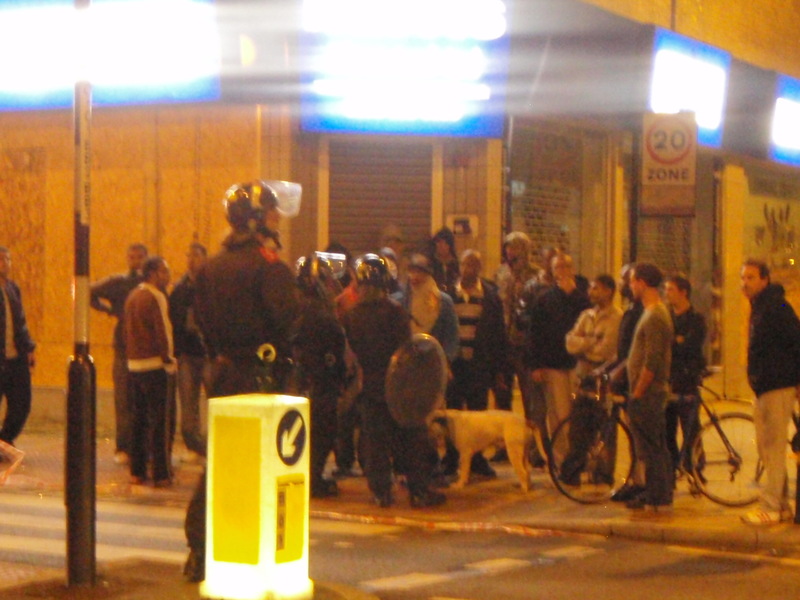 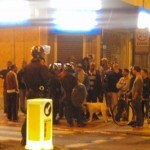 People who had lived side by side in this neighbourhood for years argued violently over different reactions to the riots. 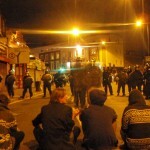 These arguments took place right in front of the police who simply stood and watched – all the while blocking off the entrance to the banks. 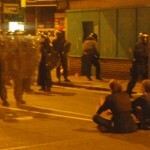 Amazing reporting. 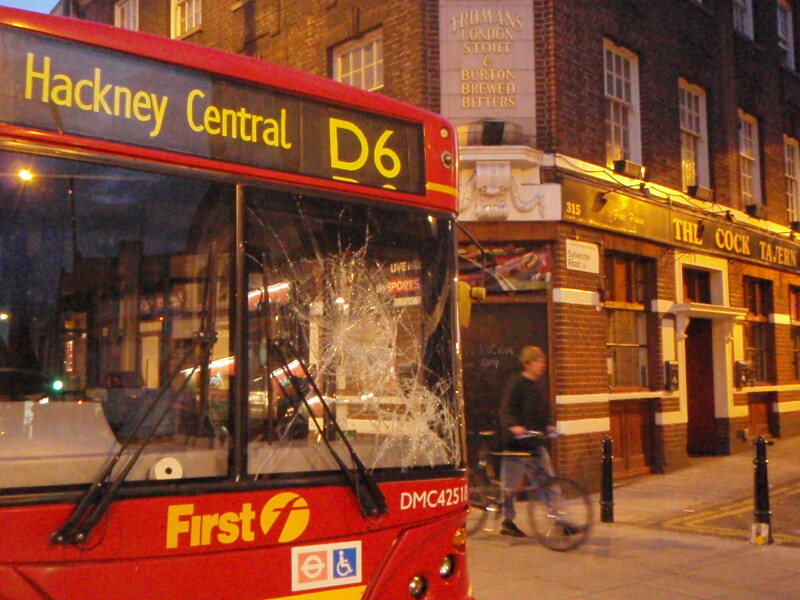 From people who actually seem to know Hackney.